This is the easiest chocolate mousse I have ever made, and a much healthier version than most other standard chocolate mousse. I love the hint of orange flavour that sings the holiday season to me. It’s an easy dessert to bring to a dinner party for my plant-based friends who don’t want to miss out on dessert. It also works great in small lunch box containers. It stores well in the freezer too, if you you want to portion it for later. Place chocolate in a heat proof bowl and place bowl above a simmering pot of hot water. Stir through and allow chocolate to melt. When chocolate has melted, remove from heat. Blend melted chocolate, tofu and orange rind until smooth. Portion mousse into 4 single serve containers and leave in fridge for at least an hour. Garnish with orange rind. I have just discovered chia. The look of it used to make me shudder until I tried this chia pudding. It’s amazing! This is coconut mango version that reminds of sipping pina coladas by the beach. Chia puddings are best started overnight and assembled the next day. Once assembled, they can be left in the fridge for a few hours until they are ready to serve. These can also assembled in small containers for a picnic or lunch treat. Put the vanilla essence, cinnamon, soaked dates and coconut milk through a processor to pulp the dates. Add chia seeds and leave overnight. 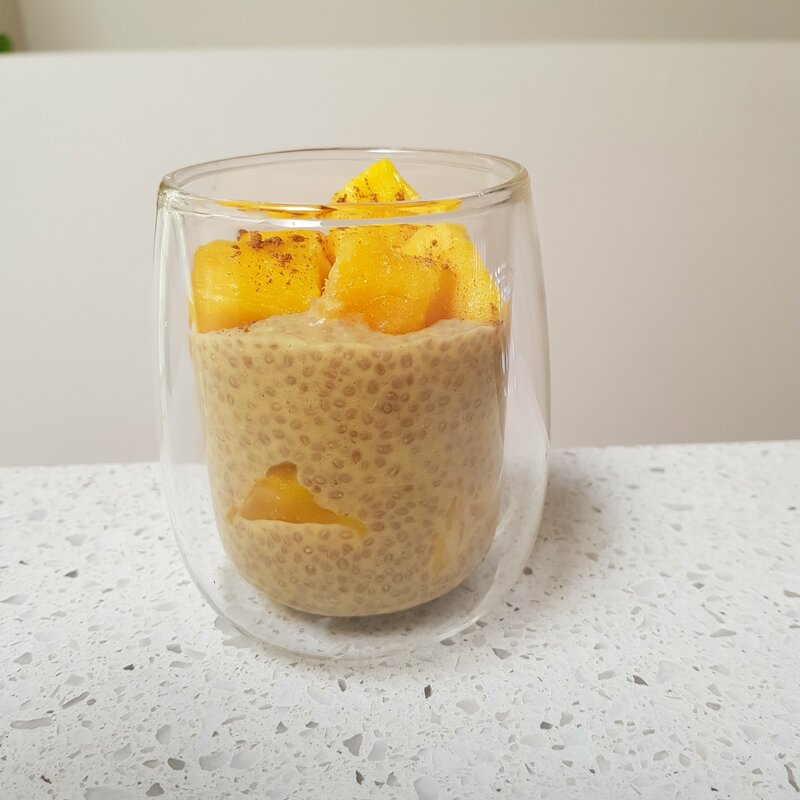 Spoon chia seeds into glasses and layer with mangoes. Finish with a sprinkle of cinnamon.